Are you prepared for a survival situation in the areas you visit? Photo: Paul Kirtley. You don’t need to look far for almost countless incident reports, news items and accounts of woe whereby ordinary folk have found themselves in difficulty in the great outdoors due to lack of basic skills and knowledge. So, how do we make sure we have the attitude, skills, knowledge and equipment to see us through adversity? If someone is walking up Snowdon in high heels or scaling Scafell Pike without a waterproof in their daypack, then they likely haven’t thought about the risks they face. Equally, if you’re walking your dog in your local country park carrying a Bergen full of survival equipment, then you are not making an accurate appraisal of the risks you face. In recent years ‘risk assessment’ has become a derided term. For many it’s an example of “health and safety gone mad”. The point of risk assessments is widely misunderstood, even by those who undertake them. It is not about wrapping people up on cotton wool or diminishing all risks to zero, the latter of which is impossible. The key point to note is that proper risk assessment is about identifying and understanding the risks you face. Then you can make a decision about how to address those risks. 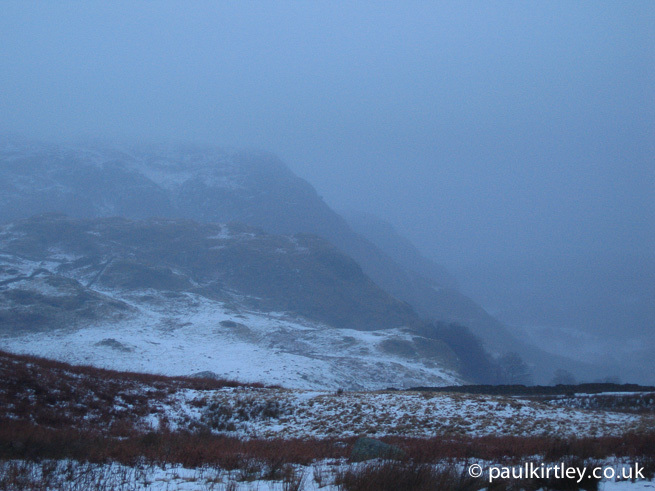 What are the risks faced by a walker in these conditions? Photo: Paul Kirtley. At its core, risk assessment done properly is an invaluable tool, not just for the professional outdoor leader. 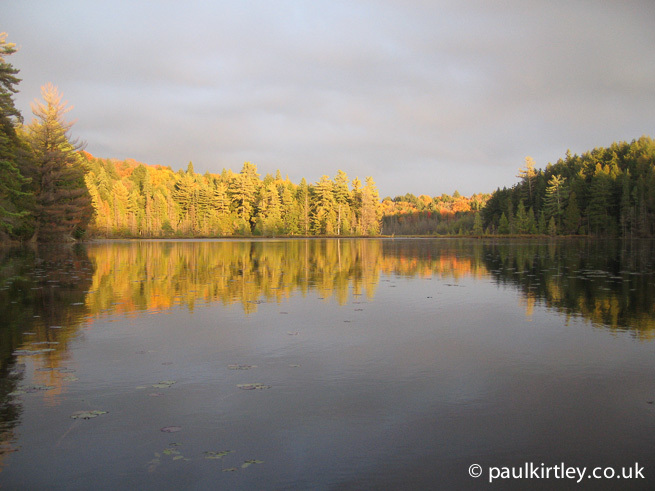 Any outdoors person can benefit from applying the core concepts. What’s more, thinking about the risks you’ll face will better prepare you – physically, mentally and materially – for difficult situations. You can’t remove all risks – if you go walking in Scotland for a week, you can’t remove the chance it will rain. The appropriate response is to carry suitable rain gear and warm layers to minimise the risk of hypothermia. Either that or you stay at home (which just presents a different set of risks). If you want to get a little more technical, you can think about each identified risk in terms of likelihood and severity. To a certain extent we do this naturally, based on experience. But you don’t always have personal experience of what could go wrong in certain situations. This is why many people fall into common pitfalls, with the same basic mistakes being made over and over again, leading people into difficulty. This is why we should make an objective evaluation of the risks we face. A lack of objectivity can also help explain why some people go too far the other way, going overboard with packing survival kit for any conceivable circumstance without thinking about the actual risks they’ll face. Under what circumstances on a hike up Scafell Pike is a survival fishing kit going to be any use? So, the question to ask is what are the real risks you’ll face? The assessment will be different depending on where you are going, with whom you are going, how long you’re going for, what time of year it is and your level of experience in the environment. From this process will flow an objective view of the skills, knowledge and gear with which you should be equipped. Given the risks you face, is this the most important equipment for you to pack? Photo: Paul Kirtley. If you’ve read this far but wondering how this applies to you and your skills, I would turn that question around and ask you two things – first, think about your definition of a survival situation and, second, think about your definitions of bushcraft and survival skills. When Does A Situation Become A Survival Situation? People end up in survival situations because one of the risk scenarios that were always possible – even if unlikely – came to pass. Some survival situations present themselves very rapidly. Examples include F-16 fighter pilot Scott O’Grady’s ejection over Bosnia in 1995 or the sinking of Dougal Robertson’s schooner, Lucette, by killer whales west of the Galapagos Islands in 1972. One minute you are in one state, then something drastic happens rapidly throwing you into another state. Many more survival situations, however, transpire over time. They are the result of a series of events, multiple decisions or a number of mistakes, all of which compound together to put the involved parties in a perilous situation. Often these situations are not thought of as survival situations at the time. While you, the reader, might not think of getting lost as a survival situation, studies have shown almost 75% of people who die in such situations do so within the first 48 hours. The official cause of death is often hypothermia. If you do your risk assessment, you’ll see that hypothermia is one of your biggest risks outdoors. Hypothermia is insidious and can take people down with remarkable rapidity. In some cases, however, people just give up. Even when they had everything they needed to survive until they were rescued, they die. There is a powerful psychological aspect to survival, which can make the difference between whether you make it or not. “Survival is more a mental exercise than physical…basically, it’s 85% mental and only 15% physical”. – John ‘Lofty’ Wiseman, Presentation at The Bushcraft Show. Clearly, the first thing you must do is get your psychology right. A positive mental attitude can be fostered by even an untrained individual. 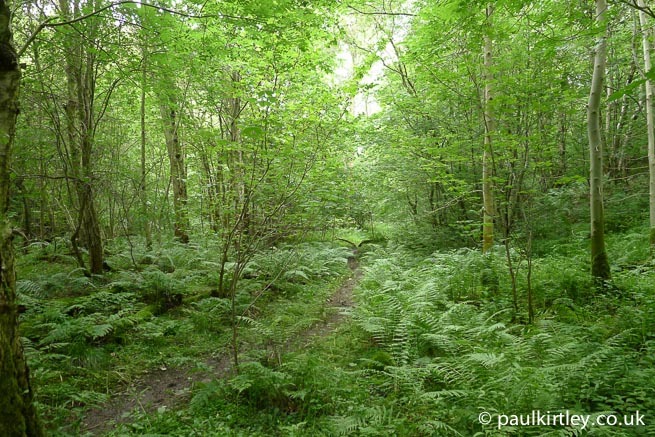 If you spend most of your life indoors, the experience of merely spending the weekend camping out in the woods is alien and can be very stressful. On the other hand, if you regularly camp in the woods, then you likely feel at home there – maybe even more at home than when you are at home! Does the prospect of spending the night here fill you with dread or joy? Photo: Paul Kirtley. If you’ve never experienced cold, tiredness or discomfort outdoors then when you do, you’ll be at a psychological disadvantage. On the other hand, if you spend a lot of time outdoors, if you’ve undertaken tough hikes or other arduous journeys in wild and remote country, then you’ll be better equipped mentally to deal with these types of adversity. 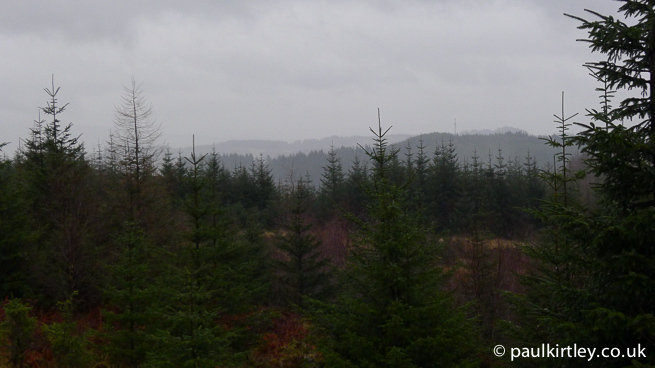 It’s cold, it’s wet, it’s grey and you have to cover 20 miles before nightfall – old hat or new territory? Photo: Paul Kirtley. The more experience you have, the more in control you will feel in a difficult situation. You won’t necessarily be relaxed but you’ll be less likely to panic. Even basic training on how to survive specific situations can make a massive difference to survival rates. If you’ve ever worked in a building, be it an office or a factory, then you will have taken part in a fire drill…. Make no mistake, being inside a burning building is a survival situation. Undertaking a fire drill is survival training. “It has been shown many times that people who are properly briefed, trained, drilled and with a knowledge of what to expect in a survival situation will show a higher degree of effectiveness should a situation arise”. – Dr John Leach, Survival Psychology. 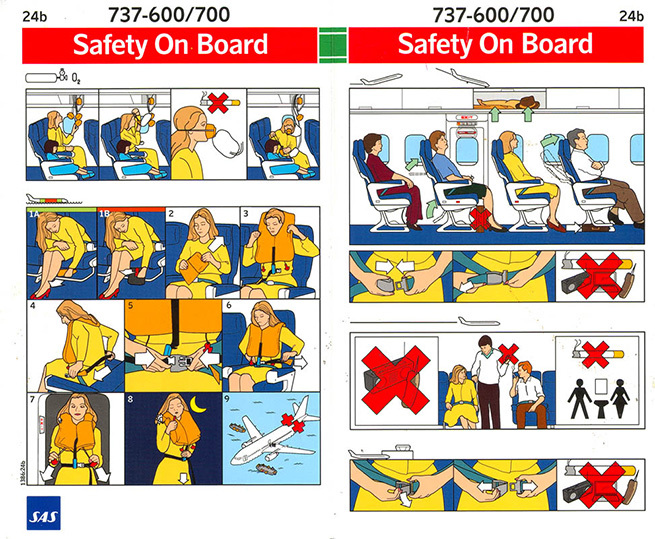 Similarly when you board a plane, the safety briefing addresses the risks (i.e. the ways you might die) and teaches you the most appropriate action. It also makes you aware of relevant information such as the location of emergency exits and personal survival equipment (i.e. oxygen masks and life jackets). But most people – particularly frequent travellers – ignore this training, much of which contains details specific to the type of aircraft and equipment it contains. Most people ignore the important survival training they receive as part of their daily lives. In the well-publicised Hudson River ditching of Flight 1549, passenger interviews indicated around 70% of the passengers did not watch the pre-flight safety briefing. The most commonly cited reason was because they were frequent fliers and already familiar. Of the 150 passengers on board, the FAA report stated “only about 10 passengers retrieved life vests themselves after impact and evacuated with them”. Eight passengers who eventually got one or more life vests from the plane went back into the aircraft after they had already exited. Of the 19 passengers who attempted to obtain a life vest from under a seat, 10 reported difficulties and “only three were persistent enough to eventually obtain a life vest”, and “Other passengers stated that they wanted to retrieve their life vest but could not remember where it was stowed”, the report stated. For me, the truly shocking figure is that only “two passengers realized they would be landing in water and retrieved and donned their life vests before impact, and a third passenger attempted to retrieve his life vest but was unable to do so and, therefore, abandoned his attempt”. Only two out of 150 passengers were aware enough of their situation, could remember where the life vests were plus were calm and persistent enough to retrieve on put them on properly. Only two. It is clear that paying attention to safety briefings is essential. Every single time. A small amount of training – or even a refresh of what you already know – can make a vital difference. Find someone or an organisation that can teach you the things you need to know. In terms of training for difficult situations in the outdoors, you can go one step further than just spending time outdoors by specifically training for different scenarios. In this respect, the more time you can spend outdoors simulating situations where you are in difficulties, the better. Take limited kit and train your skills for various survival scenarios. Photo: Paul Kirtley. While any real situation may be broadly similar to those you have trained, the specifics are likely to be different. There might be different materials available. You might be on your own or with others. You may be injured. You may have to care for a casualty. Keeping your mind flexible is the most important aspect. Learn to take a knock and pick yourself up again. Stay positive. See your way around problems and don’t be afraid to use your initiative. Foster all these things in your daily life. Don’t get too wedded to particular kit. We all have favourite equipment we choose to take with us when we make a trip. Bear in mind, though, the possibility of finding yourself in a situation where you need to use a particular skill or achieve a particular result but don’t have your usual tool(s). From time to time, train with different, lesser or less equipment. Can you make feathersticks with a penknife? If you were without your folding saw, what knife techniques would you use instead? If you didn’t have a Millbank bag, what could you use to remove turbidity from water? Train with different equipment to what you are used to. Photo: Paul Kirtley. There are many ways in which you can remove yourself from your comfort zone. Make this regular practice and your comfort zone will expand exponentially. 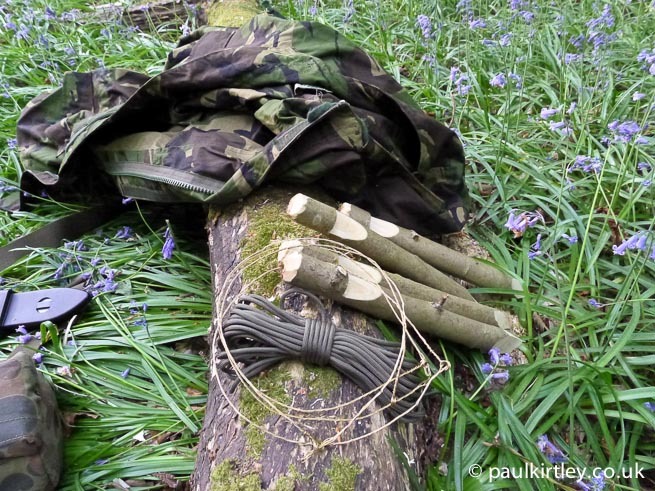 What’s The Difference Between A Survival Skill And A Bushcraft Skill? I’ve witnessed many discussions about the differences between bushcraft and survival. People spend an inordinate amount of time arguing about what constitutes a bushcraft skill and what constitutes a survival skill. 1. I choose to head out to the woods for a while and I light my fires by the bow-drill method of friction fire lighting. I’m applying a bushcraft skill. 2. I’m undertaking a wilderness canoe trip in Canada. My paddling partner and I have a mishap where we lose our boat. We manage to swim to shore but are now stranded in the wilds with only what we have on us. We are wet and it’s going to be chilly overnight. If, under these circumstances, I employ friction fire lighting skills to get a fire going and avoid hypothermia, it’s a survival skill. 3. I invite you and some other friends around to my house for a barbeque. Later in the evening, for the benefit of a few interested guests, I provide a demonstration of the bow-drill. In this context, the technique is a party trick. In each of the three scenarios above, the technique – and the knowledge behind it – is the same. What differs is the context. Don’t get bogged down in nomenclature or semantics. Too many people spend too much time arguing about this stuff. It doesn’t really matter. What matters is whether or not you are good at bow drill. My advice is to spend more time practicing and less time stressing about what discipline it falls under. So, what skills should we be learning? If you spend all your time carving, then your foraging skills are probably neglected. Likewise, if you spend all your time collecting wild food, then your wilderness navigation skills have probably been neglected. I’m not suggesting you shouldn’t focus on things you enjoy, but I do advise that you spend sufficient time making sure that you have basic competence in a range of skills that will keep you alive in the outdoor areas you visit if you come unstuck there. This includes medical training. Your first aid training will, of course, be hugely beneficial if a companion is injured or ill. It should also modify your attitude to risk, however, particularly as you move further away from immediate help. 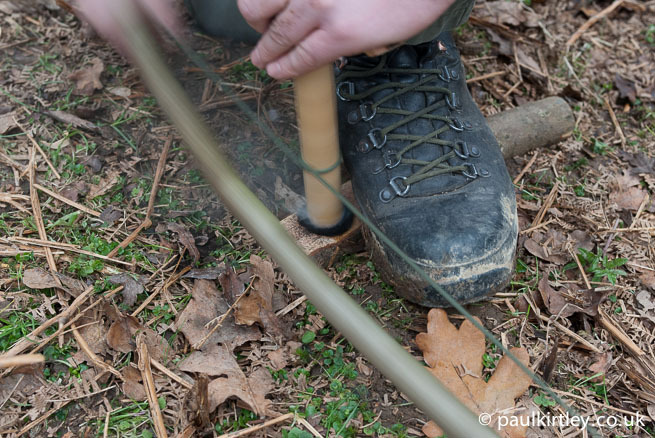 There are myriad bushcraft skills to learn. There are a lot of questions you can ask yourself about what you should learn, which skills should be prioritised. For a given environment, we can reverse engineer our skills training by thinking about one of the classic acronyms of survival: PLAN. We need to address the survival priorities of protection (clothing, shelter and fire), location (signalling and keeping watch), acquisition (sustenance, materials and tool making) and navigation (travel/getting help). We should also bear in mind that most people are rescued within 72 hours. Coming around almost full circle then, one way you can make sure you have the essential skills for a particular environment is by being realistic about the risks you’ll face. This takes you back to your risk assessment. Further, your assessment of risks combined with an assessment of relevant skills will help determine which equipment is necessary or suitable and which is unnecessary or superfluous. 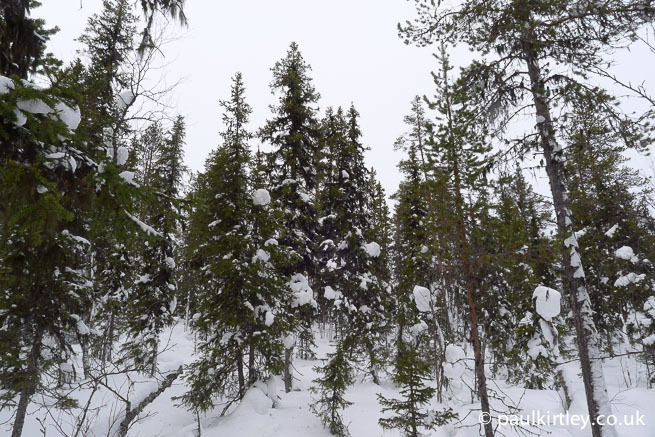 If I’m hiking through the forests of northern Scandinavia, my belt knife, folding saw and FireSteel, along with the skills to use them are very useful on a day-to-day basis, as well as when life gets more difficult. In the Cairngorm mountains in winter, these items are virtually useless. Much more useful from a survival perspective would be a blizzard bag, light sticks, dextrose tablets and flares. Indispensible tools in the northern forest. Photo: Paul Kirtley. Much more useful for survival in the Cairngorms in winter. Photo: Paul Kirtley. Choose equipment based on usefulness in the environment. It maybe doesn’t look like much on paper but, like a fire drill or airline flight safety brief, it will make a significant difference if you ever have to apply your skills in a survival situation. Thank You Again for a piece worth reading. 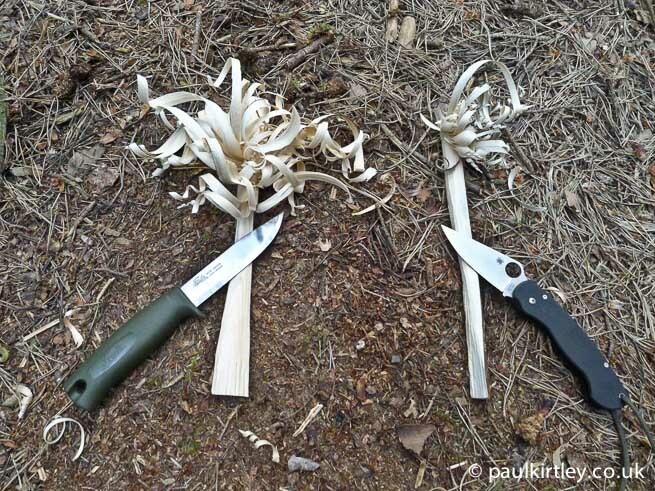 The 3 examples of the bowdrill technique you gave are just the examples I needed to have to explain why I like educate & train myself in Bush Craft skill rather than I like to go on a “survival trip” (if such a thing can be really excisting). Self reliance another phrase which becomes more-and-more popular leans more on the BC skills, to my humble opinion, than leaning on hard-core (urban) survival. Thanks for your comments Peter and your personal perspective. Excellent article Paul. Well worth reading. Thanks Baz. Glad you liked it. I’m very well thanks; hope you are too. Great article as usual Paul and some very useful insights. The items in the final picture are, from left to right, 1/ Blizzard Bag; 2/ Pack containing orange survival bag (in addition to Blizzard bag for extra visibility), Dextrose tablets, 12-hour Cyalume lightsticks; 3/ Miniflares; 4/ spare contact lenses; 5/ pack of tissues. 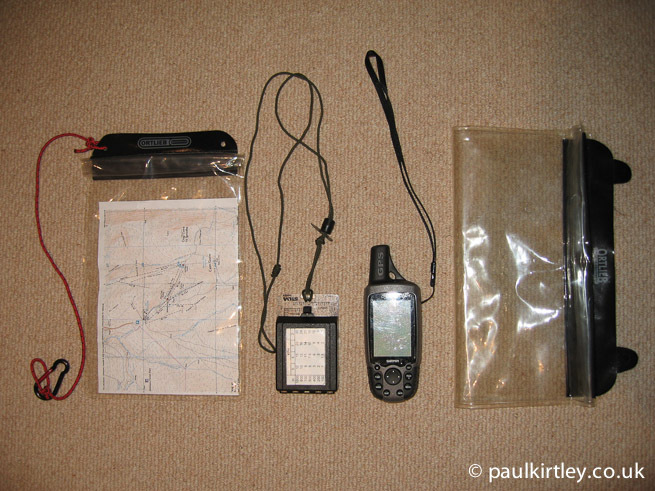 These all go in in the small orange Granite Gear bag (also shown) as a one-stop grab pack which goes my winter hillwalking/mountaineering bag along with stuff that I will be using throughout the day. First aid kit choice is separate as it depends on the group, including number of participants. Interesting, thanks for that. The miniflares seem a neat bit of kit, never come across those before. My pleasure Steve. The miniflares are indeed neat. Excellent blog, Paul – particularly the well-made points about risk assessment, context, and the futility of arguing about the ‘type’ of skill! Great wee article. Especially liked the comment about the risks associated with staying at home – made me chuckle… Am guessing they are generally beer-related. I’ve been a project manager (software dev) for many years and I’ve always applied a similar Risk Management/Mitigation strategy when out on the hills or sailing solo up to Orkney. The daft thing is, quite a few of the people I’ve been up on the high mountains/at sea, find it funny that I make or perform a Risk Management analysis prior to heading out. Generally speaking, these are the people that don’t have the right kit or haven’t thought out the potential problems associated with activities such as Mountaineering or Sailing. I’ve also declined to go on a trip because of the people that were involved because of their poor attitude to their own and other peoples personal safety. I’ve only got one life and I don’t intend to lose it is always the driving force behind my planning. This article highlights that quite well. As ever, a good read. Thanks for your feedback. I’m glad it struck a few chords with you. I was interested to read how you apply some of the strategies from your professional life to your outdoor life. As always a fantastic read Paul. I really appreciate all the time you put in to posting these superb articles. Very sobering to read about the Hudson river plane crash safety statistic. 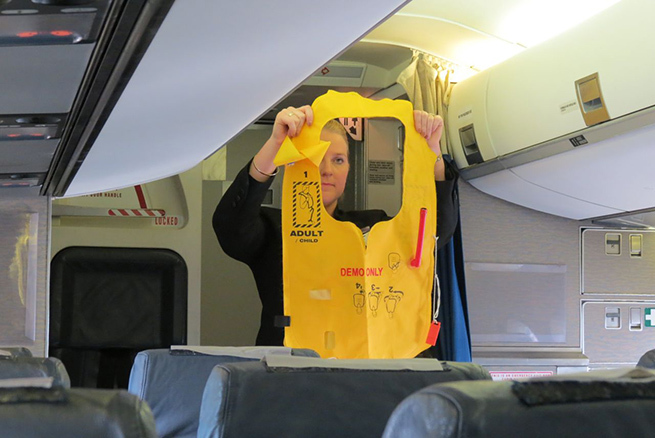 I always want to get the life vest out on planes to make sure I know where it is and can get it out promptly if required but I’m not sure you are allowed to practice this onboard!? Looking forward to your future blogs as always. 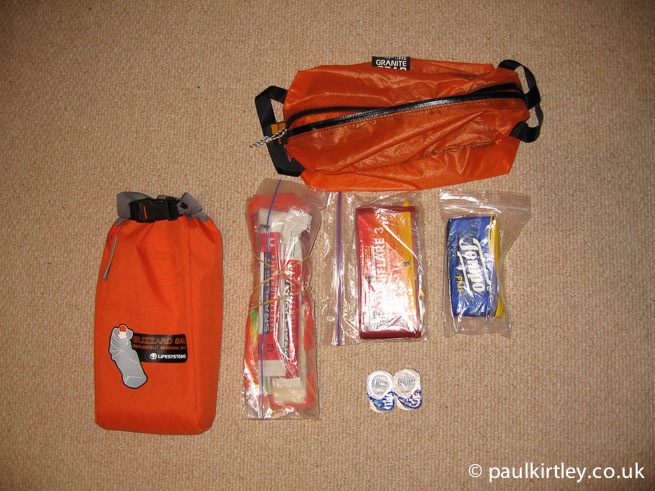 Hopefully a post on food to pack and another excellent kit expose will be in the list. As always, it’s good to hear from you. Thanks for your feedback on my articles. They do take some time but as you’ll gather, I like to do things properly. I’m thankful that you and others appreciate my output and that keeps me very much motivated to create more articles and videos. Great article, as usual, Paul. What made me smile was its relevancy to me today, whilst delivering some Ropes Course Training. In brief, I found myself in a position where the centre I was training, hadn’t the right gear for me to correctly do an access job. The relevancy was that I dynamically risk assessed it and decided there were risks but it could possibly be done. But I asked myself, “if this goes wrong how can I self rescue?”. Well bugger me it did go wrong, and thankfully I’m here now, in the pub and not still dangling there! And crucially no dramas. Your point is well demonstrated, think of the risks, check out your abilities, your knowledge based on previous practice, and then you can keep your head. It should be common sense, but we all know about that! Kind regards, hope to see you soon. Thanks Phil. “think of the risks, check out your abilities, your knowledge based on previous practice, and then you can keep your head.” – indeed. As you illustrate with your experience today, often your ability to extract yourself from a situation depends on a large enough bank of experience, both in terms of practical solutions as well as keeping calm and collected. Hope to catch up soon too. Your article could not have been more timely. I was just watching the news on TV and the headlines about the mudslide disaster in our Washington State. At least 100 people are still missing. I would hope that volunteer search & rescue folks have assessed the risks and taken precautions before they venture out to find survivors. Of course, this disaster was an act of God and sudden, but warnings about the unstable conditions were made years ago. If only those still alive carry basic signaling gear, they will stand a better chance for rescue. Basic bushcraft skills likely would increase their chances, too. Yes, tragic. There are always risks, some more predictable than others. Many people live in the shadow of large, infrequent yet devastating risks and have done through the ages. Look at Pompeii for a famous example. Let’s hope they find more survivors in Snohomish County. Great to hear from you. Glad this was useful. Thanks for your comment. I’m glad you liked the article. You’re right – a relatively short distance can be a long way if you are injured and you might as well be 1000 miles away in terms of exposure to the elements once you are stationary. Excellent article, risk assessments are a big thing where I work, being the safety officer for my site it’s my responsibility to train and keep safe all of our staff members. In all of the literature I’ve read on the subject I’ve never come across an article that explains the process and importance as well as this article does. I’ll certainly be sharing this with my colleagues as it’s a very good article. As always a great article again. 1. Garnering the adept principles/skills- and practising them frequently, and knowing how to adapt them to different situations/lateral thinking…ie bushcraft skill, survival skill…party trick…that was neat…it really put it in perspective. 2. Safety issues- Hudson river incident was sobering…as I too dont pay attention to what I have heard so many times…a reminder, to be aware at all times. 4. New feature- the highlighted excerpts made for good reading, and reflection. Very insightful. Nice to hear from you as always. Thank you for your structured, considered feedback on what resonated and stood out for you. Great help for me to be able to reflect on whether the key messages are being transmitted. It seems they are. Wise words and a great article! In the past I have carried too much gear and afterwards took a look at what actually came out of my pack and what was used and what not … (including double ups) … my future trips were less burdensome and more enjoyable. I currently try and use the things around me to hone my skills and bring less with me. make a chair in the woods, cooking can be done over the fire using bushcraft to suspend a pot, skewer meat or steam food in seaweed, in the simplest form, and if i need a fork or spoon i can knock one up in 15-20 mins, provided i have a good knife. likewise my food content has changed, I carry staple foods but now supplement it with fish or wildfowl and some wild plants that i can positively identify. sometimes i’m unsuccessful in catching game and I go with less in my pot than I would have liked, but I’m learning and getting better. to quote a section of the article above, the skills you have are classed differently under the situation, survival skill, bushcraft skill and party trick. but its practising, using the skill out in the wild and knowing the skill that counts. After reading this article, i think i’ll push some of the skills i’m less comfortable with, and build on that, again another point made here. Making cordage will be high on that list along with friction fire. Positive mental attitude … When it all goes to plan …. you walk a mile high that day! Hi Cyril, great comment. You get it. Great article. Good point about keeping it relevant also. The argument about bushcraft vs survival situations seem a bit daft at times. Thanks for sharing your story. Very honest of you and it includes some good lessons, both in terms of confidence in your kit, how to use it, keeping your cool and applying the correct principles such as STOP. 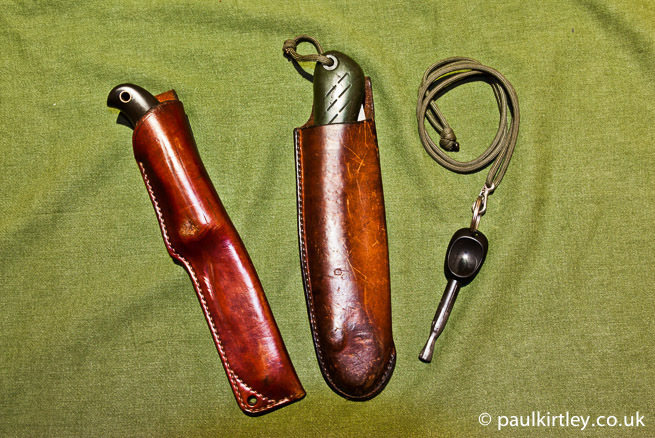 Many thank to such a interesting article, I started hill walking at the age of 11 with my father in the mid seventies, and since I’ve climbed in the alps and done wilderness skiing trips in Norway & Sweden and over the years i have learn to be able to ‘self rescue’ and all the kit/survival item you carried had more than one use, because we don’t have access to satellite phones or EPIRE or as an old climbing mate used to say ‘you got yourself into trouble, now you need to get yourself out of trouble, because there may not be anyone there to help you. My pleasure Dean. I’m glad you found it interesting. You are right that responsibility for your safe home-coming is largely down to you. I’m a little younger than you but certainly of a generation that grew up without reliance on mobile technology, GPS, EPIRBs or SPOT messengers. It gives you a different mentality with respect to self-reliance in the outdoors. Be a tough day if the government turned the satellites off, wouldn’t it? Any time I am outdoors, no matter the setting – urban, suburban, rural or wilderness – I keep an eye open for edibles (fruits, veggies, nuts, animals and mushrooms). Today, while browsing a favored mushroom site, I spotted my first ever quail. I took the wife to the hospital for some diagnostics last week and spotted some mushrooms growing on a side lawn. Closer inspection netted almost 10 pounds of Bay Boletes and a couple pounds of other edible mushrooms (all identifications confirmed from multiple sources). Last night I canned 12 pints of homemade spaghetti sauce using several pounds of Honey mushrooms (Armillaria mellea) found on my lawn and the neighbors’. You can’t buy either of those in a market … but they are delicious and free for the taking — IF you know what to look for. One thing more I would like to mention is this: once you spot a forage food 1) you’ll always recognize it in the future and 2) you’ll probably be able to find it there again and again. Hey Ron, good to hear from you. Thanks for your comment – yes, while preparation is invaluable, situational awareness and a dynamic risk assessment are also highly important. Thanks for highlighting this. Thanks for your comment. I’m very glad you found this thought provoking. I hope it serves you well going forward. It’s good to hear from you. Thanks for your feedback on the article. Thanks also for spreading the word – I really appreciate it. PS I completely understand about the general deficit in situational awareness…. Well, they might do that. But it’s probably not going to turn out the way they imagine it. A well constructed article Paul (as ever) and one that reminds us of the need to be prepared with the right knowledge (and in turn the right kit). I heard about a plane crash where a number of the folk on board had got their life jackets put on before the plane hit the water but the plane filled up with water rapidly … Those who managed to swim from the submerged plane reported that other passengers had inflated their jackets inside the plane and the jackets had then prevented them swimming out causing them to drown. A sad tale of the right tool being employed incorrectly probably due to panic. Thanks for your feedback on the article – I’m glad you enjoyed it. I think the plane crash you are referring to might be the Eithiopian Airlines hijacking in 1996 when the plane ditched after running out of fuel. It was a short distance off the shore of the Comoro Islands and many survived the impact. Unfortunately a substantial number then drowned due to inflating their life jackets inside the fuselage thus trapping themselves with the excessive buoyancy. As you say, a very sad tale. But one we can at least honour the victims by learning the lessons it provides. Well written article Paul. I couldn’t agree more, especially when it comes to getting out and practicing skills. I think many people fall into the trap of being armchair bushcrafters and survivalists, reading and watching videos on the subject but never actually gettting in any dirt time. Hi John, thanks for your comment. Yes, experience is very important. A skill that hasn’t been practiced isn’t a skill … it’s a theory. When I took a CPR/AED class last fall we looked at the pictures in the book, listened to the lecture, watched the demonstrations and then each and every one of us practiced the things taught – with input from the instructors – until we got them right. Just as I practiced that skill to learn it, so also with knot tying, marksmanship, food foraging, fire starting, navigation and so on. The difference being that, lacking a dummy and an expert to assist, I can only practice the CPR/AED in class. The rest I can, and do, practice on my own. Thanks for a very interesting article. Always easy to forget about these things. I’m definitely keeping this in mind next time I head out. I was wondering if you’re perhaps also working on an article about the different types of shelters and their advantages/disadvantages. Great article. I really appreciate you taking the time to share your thoughts and experience. Excellent well thought out “SOP”. I really wish your school had a branch in the Northeast U.S.! a dumb unprepared winter day hike that almost turned into a frostbite scenario, and a bunch of others. Realizing you can’t always be prepared for everything in life, especially in the outdoors, it is still important to have an Continuity of Ops plan such as the one you outlined so well. It’s good to know you appreciate the logic of my thinking on this and it fits with your view too. It sounds as though you’ve had some interesting experiences but experience is very valuable – as long as you use it to inform your judgement in the futre. an interesting article, once again. 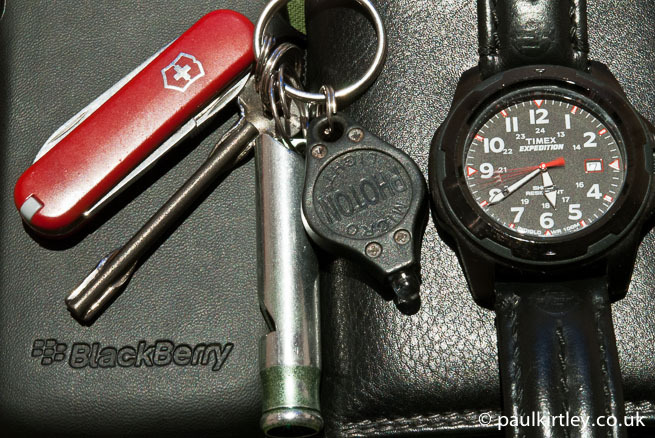 my wife wanders why i always carry a few useful items in my pockets when i’m out and about. boy scouts motto! trailhead. The weather in those mountains can turn deadly wet and cold in mid-summer. “In recent years ‘risk assessment’ has become a derided term. For many it’s an example of “health and safety gone mad”. I used to teach map-reading, navigation, expedition and survival training (along with other stuff about airframes etc of course) with my local (UK) Air Cadet squadron. I felt it was an opportunity to pay back for the introduction to outdoor adventure my school ATC had given me 30 years earlier. I got to the point that I had a group of youngsters keen to get out of the classroom and put what they’d learnt into practise. That’s when things got difficult. For a start there were the risk assessments. There was an ambivalent attitude to those. On the one hand too laid back, on the other too proscriptive. By “too laid back” I mean I was told “it’s easy, just use the standard RAs for the likely risk profiles”. The problem with that is that a group leader could just sign off an RA without necessarily fully understanding the risks or implementing the recommended measures to ameliorate them. By “too proscriptive” I mean that, for example, if any “water feature” was to be encountered then all those involved would require RAF swimming certificates. Now you’ll be thinking – “that must be if you’re proposing something like kyaking” but no. It was for any activity which would take cadets within 2 metres of open water. Next there were the other documentation requirements – like needing to submit exact plans to the MOD weeks ahead (and, incidentally, locking you into those plans limiting the scope to say “in view of circumstances it would be safer to take a different route”). Then there were the other constraints. There must be at least one adult for every 6 cadets. All adults must be CRB cleared. All adults must have relevant training and certification. That meant that if a second adult went along as a helper it didn’t mean the party could be of 2 adults and 12 cadets but without that certification the second adult had to be regarded as a cadet so there’d be 2 adults and 5 cadets. At considerable cost of time and money I got the training: an expedition first aid course and “Basic expedition leaders certification” (BELA). It seemed like a good idea to go for a hike in the Peak national park (where I have been walking for many years every week, independently of the cadets). Next obstacle. “The Derbyshire peak is mountainous territory so a BELA is inadequate, you need a mountain leader’s certificate (MLC)”. (For those not familiar with the area it’s hills rather than mountains and you’ll have a hard job finding “a peak”). So if I wanted to take a dozen cadets to share the experience of Dovedale (a largely flat riverside path) with it’s normal clientele (coachloads of grannies), I’d need 2 CRB cleared adults with MLCs amd the cadets to each have an RAF swimming certificate (especially if they risked the hazard of following the grannies over the stepping stones across the shallow slow flowing waters). However even that may breach another requirement “that the route should at no point take the cadets more the 20 minutes walk from a metalled road” (for rescue vehicles). 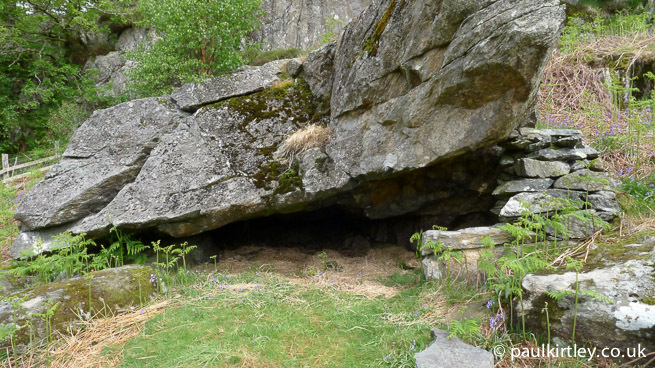 Another example of detachment from the real world was in relation to expedition food. One specific stand-out example was: “group meal preparation may only be undertaken by persons with a Food Hygeine qualification. If there is no such individual available cadets must prepare their own food independently.” Another was “If cadets take sandwiches they must be consumed within 3 hours of having been made. If the scheduled lunch stop time is missed and the food has gone beyond that 3 hour deadline it must not be consumed” – but I very much doubt that anyone takes any notice of that one. Basically I concluded that there was no way we were going to be able to do anything remotely adventurous or interesting – and so did my cadets. Their response was “what’s to stop us, as a group of friends, going hiking?”. I was confident that they’d understood everthing well from a classroom perspective, that they were well disciplined (in that respects the ATC does a good job), and all had completed the ATC First Aid training (provided through St John’s Ambulance). As they were determined my answer was that my position meant I could not “approve” their plans and what they did independently of the cadets was none of my business. I said that whatever they did they must get their parents’ agreement without any suggestion that it was a cadet operation and without using any cadet uniform or other equipment. I did look at their plans on the basis that I could not “approve” but I could highlight any weak points or aspects they’d overlooked. They subsequently went on a hike and a camping trip in the Peak and after those worked out well they organised a trip to Mt Snowdon. From the perspective of risk assessment my personal view is that I’d rather my teenage lad was in a group which included an adult with practical experience (irrespective of formal certifications and CRB clearance) than just a group of inexperienced lads relying only on classroom training. I must add that I was only involved with one particular ATC squadron and other squadrons may take a more flexible attitude to adventure activities. When prospective new cadets arrived with their parents it would be me who had the initial chat with them and hand out the information booklets about the opportunities and benefits the ATC offered. Those materials featured the opportunities for adventure activities and I felt like a fraud, knowing that in my several years at that squadron there had been virtually none. Ironically the Air Cadets motto is “Venture, Adventure”. I concluded that the ATC was not a good way to achieve my aim of helping introduce teenagers to the lifelong pleasures and challenges the outdoor world has to offer and I resigned (there were other irregularities in the way the organisation was run contributing to that decision). You’re right that bureaucracy has devolved the practicality of the “Be Prepared” Boy Scout mentality into “Go hide under your Mommy’s skirt so we can know you’re safe and we don’t get liable for any damages incurred.” But please don’t let that dissuade you into sharing your obvious vast knowledge and experience with those willing to learn. Society has looked for a comfortable niche, even from olden days, where they invented Big Bad Wolf stories to discourage youths from wandering alone into the wilderness. That was a tragic message to send down through the ages, as people began to hunt wolves to near extinction simply out of fear and misinformation. A good sound knowledge base is needed to be perpetuated by the likes of those well versed in them. Please do not be discouraged by the bureaucrats. Perhaps finding a few faithful youth to train with your knowledge and experience will reward you. Hope you find some comfort soon. If we want to be prepared for survival in nature,in Croatia, we have to be very good practice and trening.Now is by us 37 degrees Celsius, for four months will be minus 20 degrees Celsius. With your advice and your knowledge we’re very facilitate preparations for survival. I especially like all the videos that have to do with winter. Once again thank you for enlightening advice. Paul, I felt this was a great message for everyone ! As always, Paul, thorough and informative. Thanks for all yo do in the community. Hey Marcel. As always, it’s my pleasure.